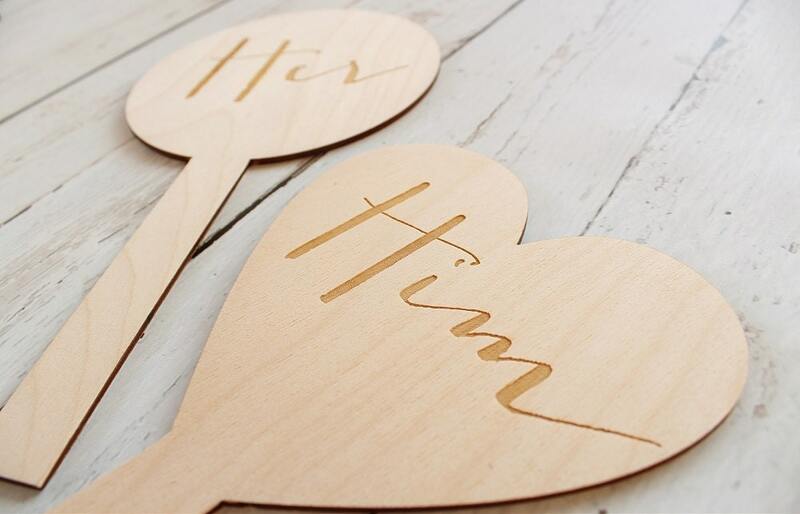 Him, Her, Me wood paddle set.! 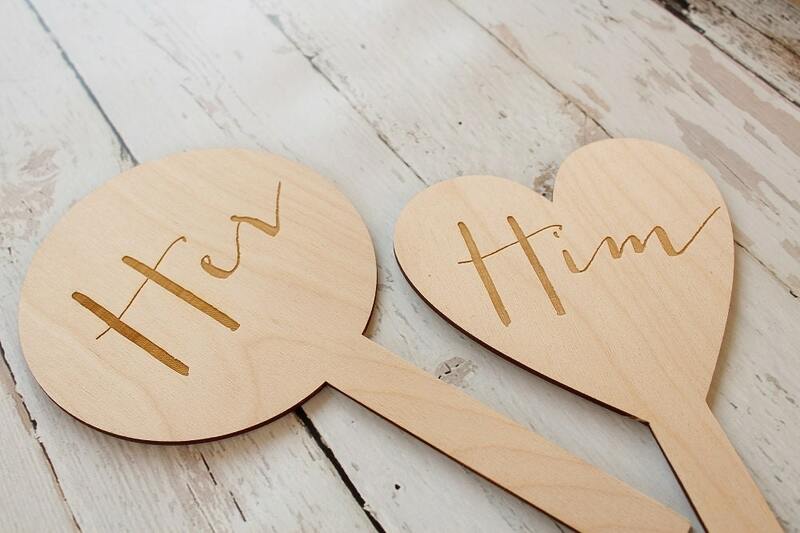 This cute paddle set is the perfect game for engagement parties. ♥ Who takes the longest to get ready? ♥ Who says sorry first? ♥ Who cries during sad movies? 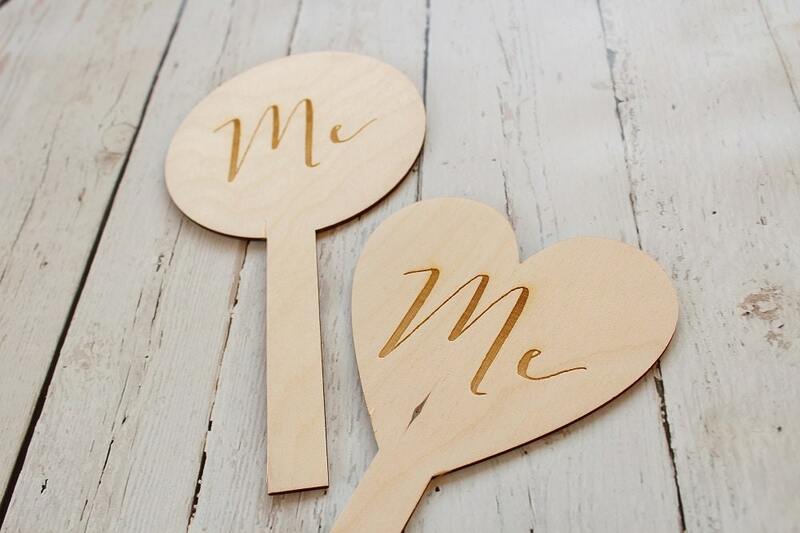 The Bride and Groom then use their paddle to answer the question with Him, Her or Me.. 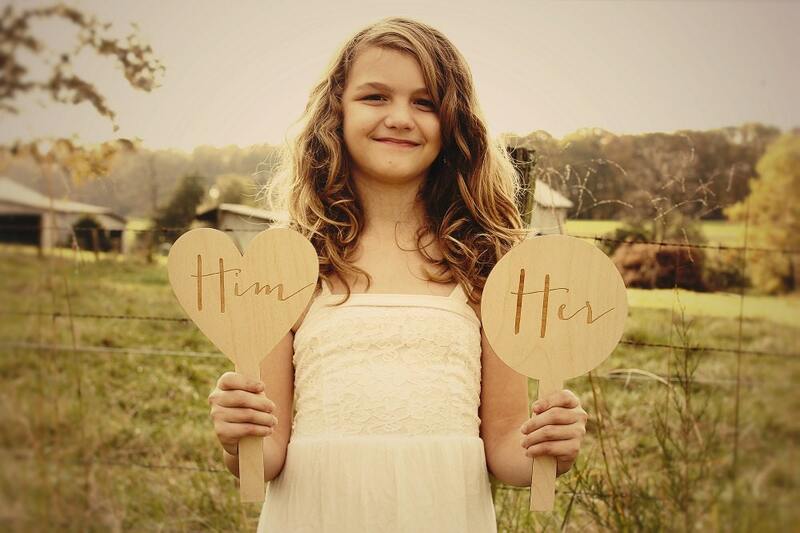 This is a cute game that is sure to bring some laughs and fun to your engagement party.! They’re very nice. I was just a little disappointed that it took so long to ship. They almost didn’t come in time for my engagement party. Other than that customer service was good as soon as I brought it to their attention they sent them. 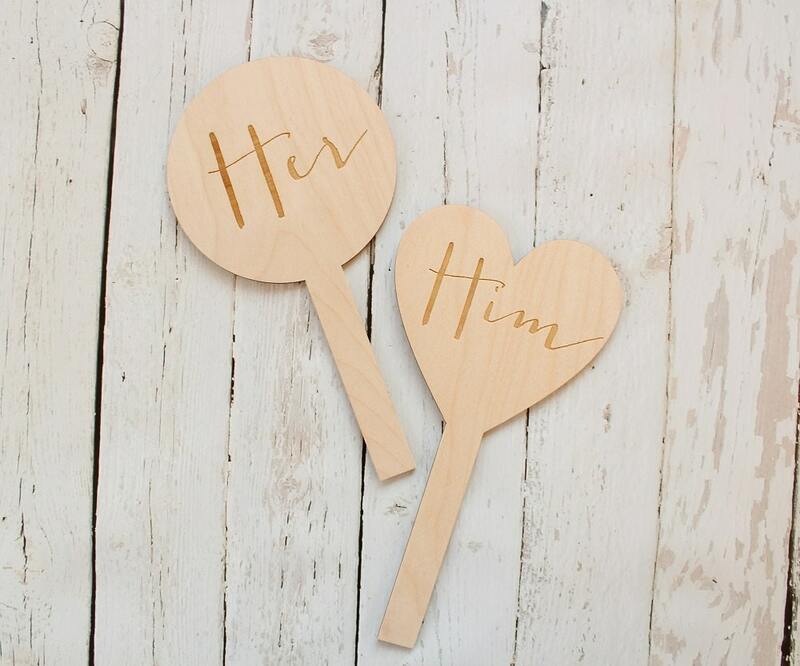 perfect for the bridal shower game I coordinated! This was a great idea for our He Said She Said game! Thank you!